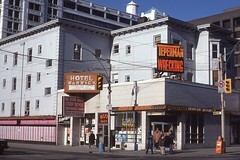 Toronto has long been a centre for travel and trade, and has therefore had many inns and hotels over the years. 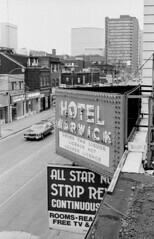 We've collected an alphabetical list here of historic photos of Toronto hotels - the major, famous hotels, as well as the many smaller hotels and motels. William Dummer Powell built his second home in Toronto - Caer Howell - in 1810, along Taddle Creek just south of what is now Orde St. west of University Ave. In 1853 "it was improved with a new front, and again in 1860 it was enlarged" ending up eventually in the second empire style, with a wrap around porch with a balcony along the top. 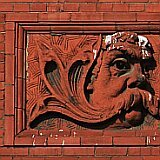 1912 Dufferin Hotel at Bloor St. W., n.w. cor. Dufferin St.
1900 Ross Hotel on Donino Ave. - pen & ink drawing by Bernard J. Gloster? 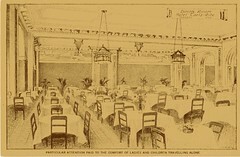 1929 Royal York Hotel, Front St. W., n.e. corner York St.
1909 Savoy Hotel and Tea Room demolition Yonge St., n.w. 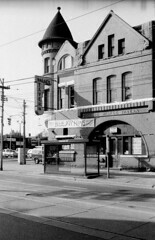 corner Adelaide St. W.
1953 Todmorden Hotel (built ca 1892), Broadview Ave., s.e. corner Westwood Ave.
1895 Todmorden Hotel with double level porch (built ca 1892), Broadview Ave., s.e. 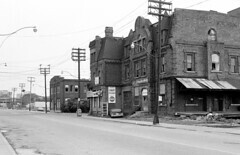 corner Westwood Ave.
1945 Walker House Hotel on the south west corner of Front St. W. and York St.
1890 Walker House on the right, with the proposed Canadian Pacific Railway Station on the left - York St., e. side, at Esplanade W.; looking s. down York St. from Front St. W.